Susan Greene and her team have written copy for hundreds of clients in a wide range of industries — healthcare, technology, manufacturing and more. We are copywriter generalists who can quickly get up to speed on most topics. Listed below is a mere sampling of fields in which we have experience. It’s certainly not a complete list so don’t be concerned if you don’t see your industry mentioned. The articles at the links below contain tips if you’re inclined to write copy yourself. If not, you might still find them useful for generating ideas. Then, if you decide you’d like help from a professional copywriter, contact us for assistance. We’re here for you! 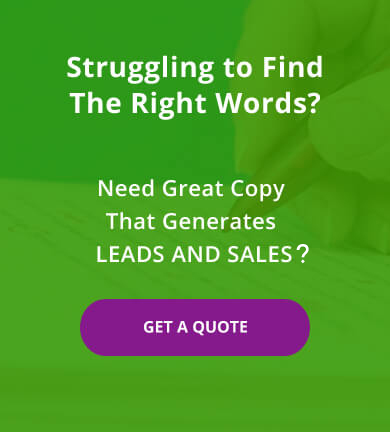 We’d love to write copy for your business to help you generate leads and sales. Even if your industry doesn’t appear in the list above, we can handle it. Our capabilities are extremely broad and diverse. Why not contact us today to get a no-obligation quote on your project?